Simply create your account, or log in to get started. Use your reward points by redeeming them for cash off your next order. 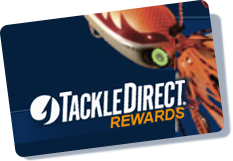 Earn rewards points on every dollar you spend. Be eligible to earn double or triple points on promotional products when available. Your answers can earn you even more rewards points. Earn points when you share your experience with products and it's approved for sharing. Share our site on email, or earn points when your friends make purchases and/or create accounts. Earn even more points when you share our site and your friends or family members create an account.